Infinite Art Tournament: Element of the Month: Zirconium! a silvery metal! Yes! Someday I'm going to sit down and make a short list of elements that aren't either colorless gasses or silvery metals. And Zirconium won't be on it. centerfold on Element of the Month Days. So, here's what I can't figure out: all the talk is about how tough and corrosion-resistant Zirconium is. Alkalis, acids, heat, radiation -- Zirconium is immune to all of the usual suspects. Yet it is not found in its elemental form in nature, only in compounds, and the Wiki says this is because of "its intrinsic instability with respect to water." Nobody else seems to have a better excuse, and other sources all indicate that it usually shows up in alluvial deposits, which is to say in places where minerals have been built up by rivers -- deltas and so on. So here we have an element that on one hand is used in pumps and valves because it's so corrosion resistant, yet it also water soluable? Ya got me. 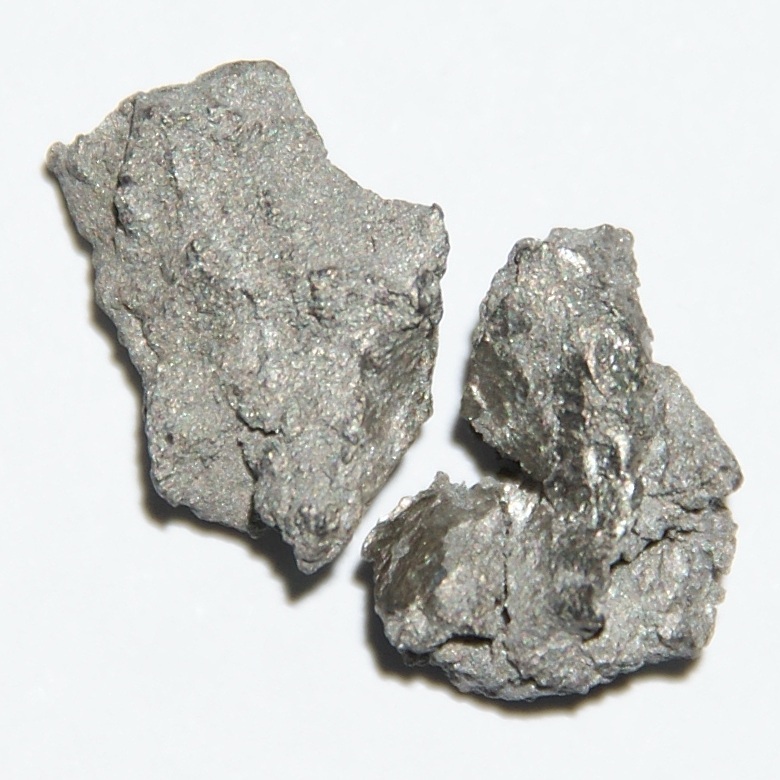 Some sources say that Zirconium is produced as a by-product of titanium mining, and others say no, it's just mined the same way as titanium is. What everybody agrees on is that Zirconium is always found together with its BFF Hafnium. The two elements have similar enough properties that for a lot of human applications no one even bothers to separate them -- except when Zirconium is being used in nuclear reactors, where for technical reasons it needs the Hafnium taken out. Zirconium is used in alloys for the usual variety of exotic applications in aerospace. Its best known compound, in addition to being used in jewelry, can also be found in your better sandpapers. There's about a milligram floating around in YOU, too, apparently doing you no good at all but no harm either. And here's something interesting: you know how the brainy physics guys are periodically [get it? get it?] creating new fakey elements? It turns out that they also like to create new fakey isotopes. In the case of Zirconium, there are 28 fakey isotopes! Why, you ask? I have no idea.